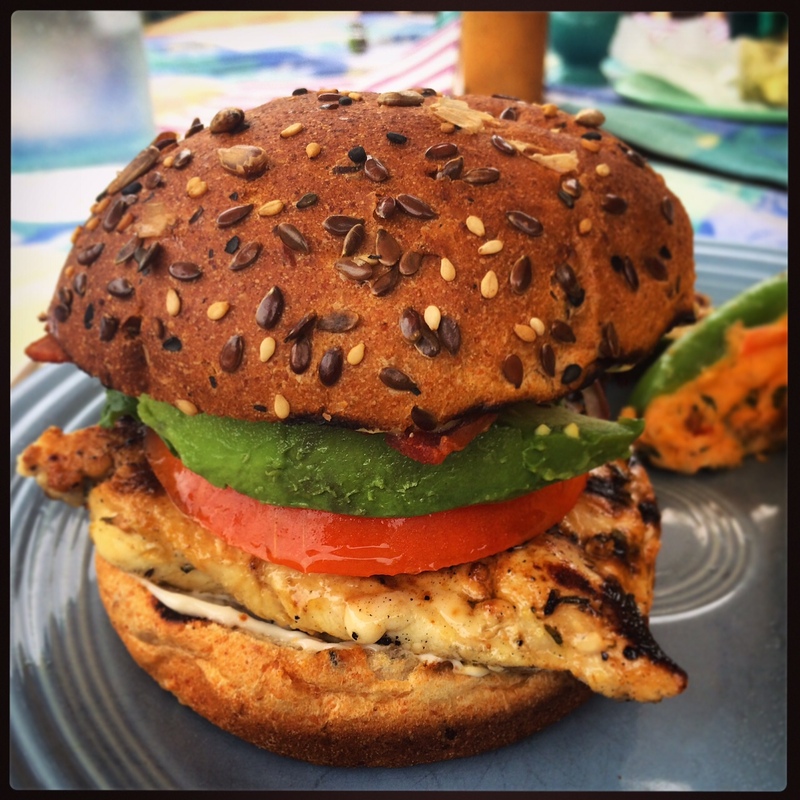 In the past, I’ve tried to recreate these chicken burgers myself, but I never can seem to get the marinade quite right. The secret is store-bought margarita mix. Now, this isn’t always something I have laying around, so I have used lime juice instead with sub-par results. 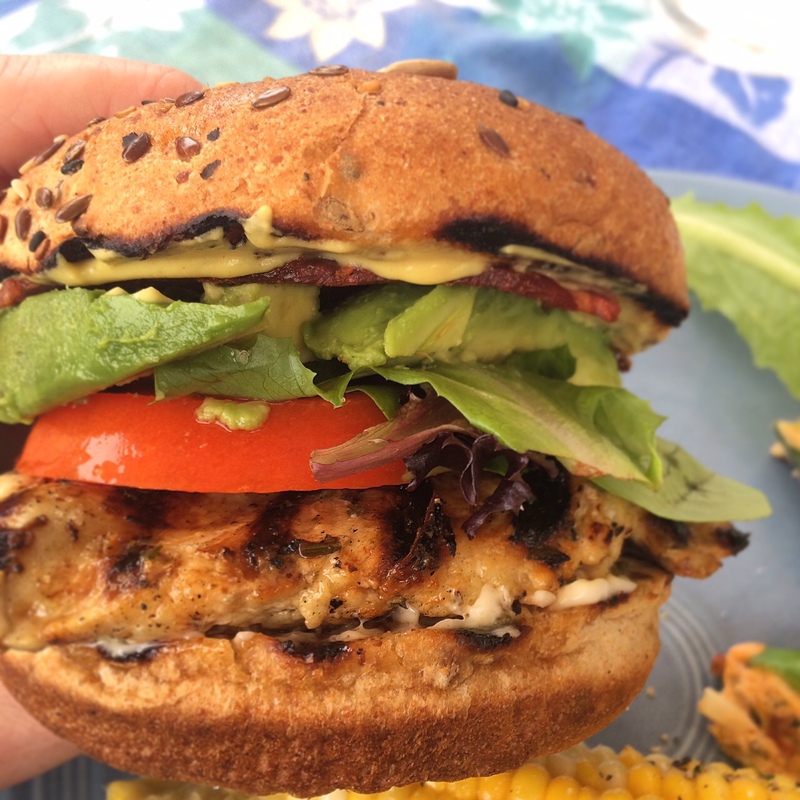 As you probably know, margarita mix has added sugar that lime juice does not, and though we have tried with other sweeteners, nothing has ever compared to this marinade and how perfect it tastes on a toasted bun with all the fixings. Toppings are of course up to you, but we always use great quality buns, mayo, some sort of dijon mustard, lettuce, tomato, and onion. Stuff that makes these burgers even better: Avocado and Bacon. Don’t forget to lightly toast those buns. Lay your chicken breasts between pieces of wax paper. Using a meat tenderizer, pound out your chicken breasts to about 1/2 – 1 inch thickness. In a large baking dish, mix the olive oil, margarita mix, salt, pepper, garlic, and rosemary. We always marinate our chicken in a large rectangular baking dish like this one. Cover with plastic wrap, put in the fridge, and marinate for at least 3 hours, overnight if possible. Heat your grill to medium and let it warm up for a few mintues. Cook chicken until no pink in the center remains and the juices run clear, about 5 – 7 minutes per side. Really, it depends on your grill and how thin you pound out your chicken breasts. Toast the buns on the top rack of your grill or in the oven until slightly toasty. Remove chicken from grill and let cool while you get your buns ready. Since the breasts are pounded out thin, you may need to cut them to fit the burger buns. Assemble Burgers: Add mayo and mustard to each side of your bun. Add chicken, lettuce, onion, and tomato. Bacon and Avocado if you are doing it right. Enjoy burgers immediately.